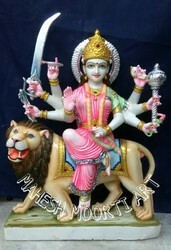 Clients can avail a wide range of Durga Ji Sculptures from us. We offer this array in variety of models and sizes. The sculptures are beautifully crafted and come in vivid color combinations. We customize the range as per client requirements and offer it at economical prices. 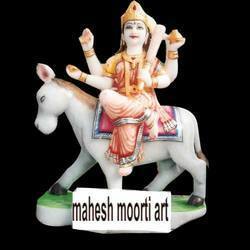 Clients can avail a wide collection of Umiya Mata Statue/Moorti from us. This range is beautifully crafted in quality marble stone and is painted in attractive red, pink, blue, purple, golden, green and silver colors, to make it look more elegant. The array is available in different sizes and shaped to meet the various requirements of the clients. This range can be availed from us at best industry prices. 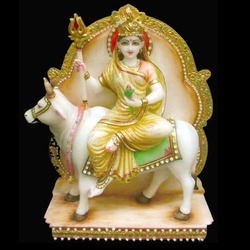 We are one of the leading names engaged in offering a beautiful range of Maa Shitla Marble Statue. This collection is designed and fabricated by our skilled designers and artisans. The range depicts rare beauty and comes in attractive red, pink, blue, green, purple, orange, golden and silver colors. The collection is available in multiple sizes and styles at very affordable prices. 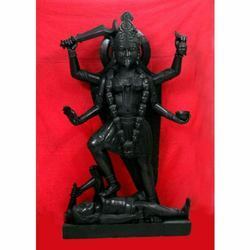 We are engaged in offering an exquisite collection of Maa Kali Statue. This range is well reckoned among the clients for its durability, shine, glow, quality and latest design. The range is made of best quality materials and paints, and offers long lasting sheen and longevity. This array can be availed from us at industry leading prices. 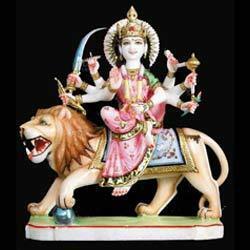 Our organization holds specialization in offering a comprehensive collection of Maa Durga Moorti. This collection is designed by our expert designers and craftsmen and offers superior quality and durability. The range is available in multiple designs, shapes, sizes and color combinations and is offered to our esteemed clients at best industry prices. 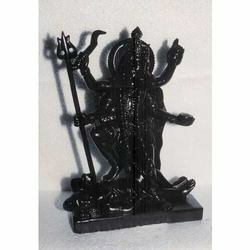 Our clients can avail a vast collection of Marble Moorti of Mahakali from us. This collection is beautifully crafted in quality marble stone and is available in varied options of style, sizes and designs. The array is well known for superior quality and durability. This range can be availed from us at best industry prices. 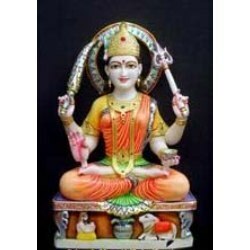 We are well known manufacturers and suppliers of a wide range of Maa Chamunda Moorti. The goddess Maa Chamunda has an interesting story about this avatar. The story is when Demons Chand and Mund came to conquer Devi Mahakali and in the fight that ensues, the Devi cut their heads and presented these to Maa Ambika, who in turn told Mahakali that you will be worshipped as Chamunda Devi. 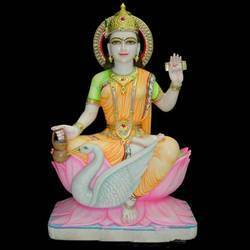 This murti is made of snow white marble and is available in different styles and sizes. Our marble Mata Shilputri Statues or Durga Mata Statue reflects true workmanship of our craftsmen who make use of qualitative marble to achieve perfection in their work. The marbles are finely cut and polished to give a glossy and reflective finish to the sculptures. 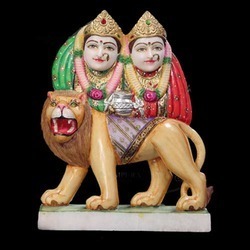 Our Mata Shilputri marble statues or Durga Mata statue are beautifully coloured and have high aesthetic appeal. 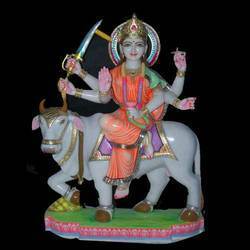 We are engaged in offering marble Gayatri Statue with dried palm leaf in one hand and kamandal in other hand. She was the glorious light and characterized by fire and shakti. These are skillfully crafted with minute detailing, smooth edges and perfect polishing. These are available in different sizes and dimensions and can also be customized as per the requirements of clients. 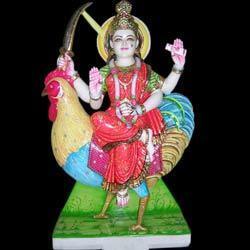 We are engaged in offering an extensive collection of Murgachaddi Mata Moorti/Statue. This range is well reckoned among the clients for its durability, shine, glow, quality and latest design. Made of best quality materials and paints, the range offers long lasting sheen and longevity. This array is available with us at industry leading prices. 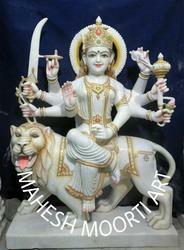 Being a manufacturer our aim is to provide quality and attractive sculptures of Goddess Durga. Our products are widely demanded for its durability, shine, glow, quality and latest design. During the manufacture process our supervisor investigates the quality of the products so that we supply good quality products to our clients. 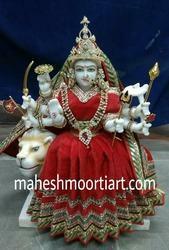 We offer Marble Stone Santoshi Mata Statue which are excellent in quality and can grab your attention easily via its eye catchy look. We have an expressive ambit of various goddesses of Hindu dharma some of them are Durga, Lakshmi and Saraswati. 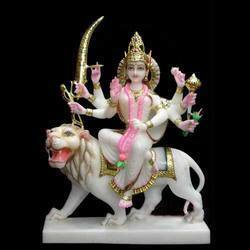 Looking for Durga Ji Sculptures ?